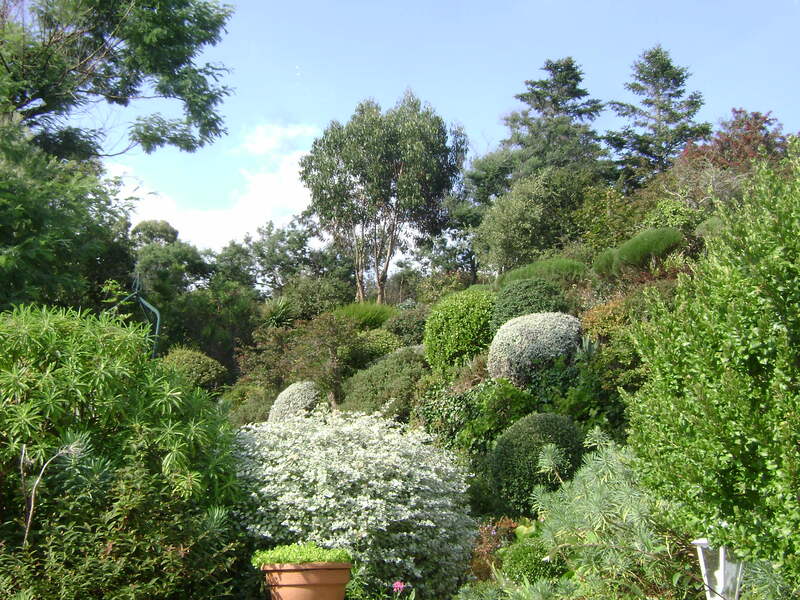 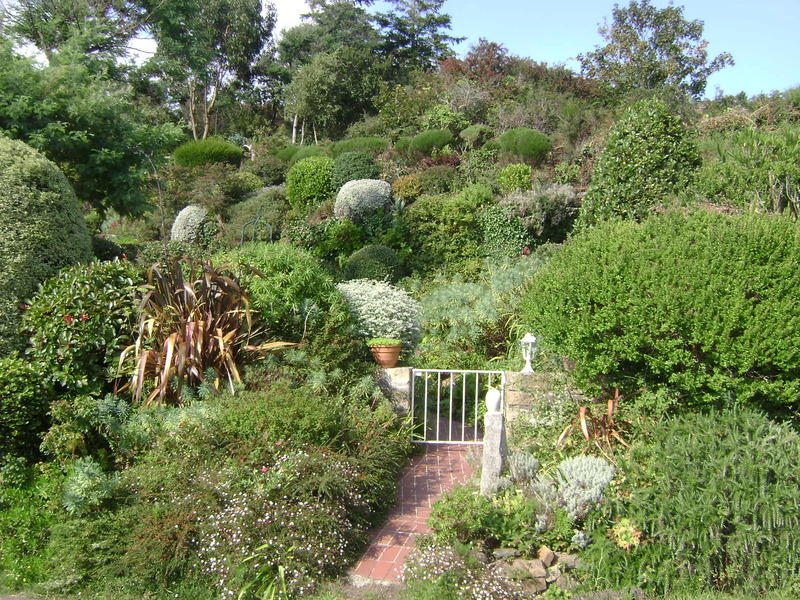 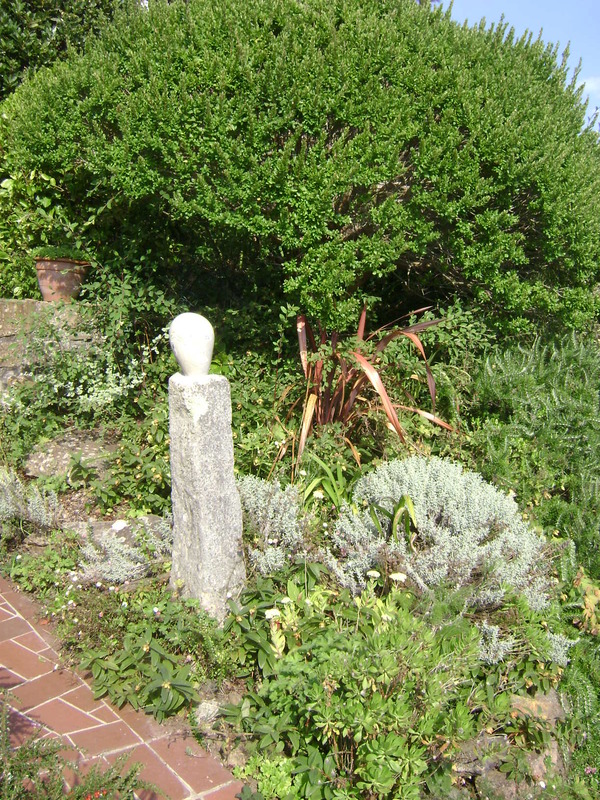 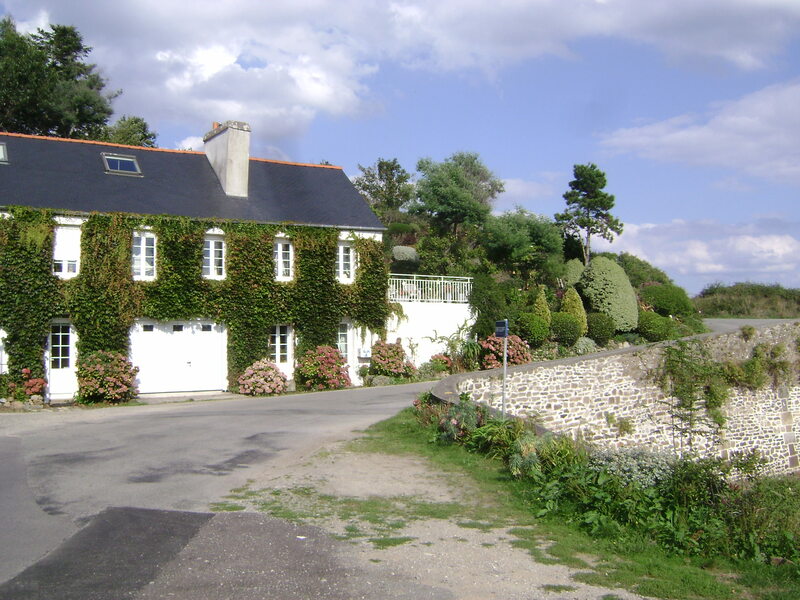 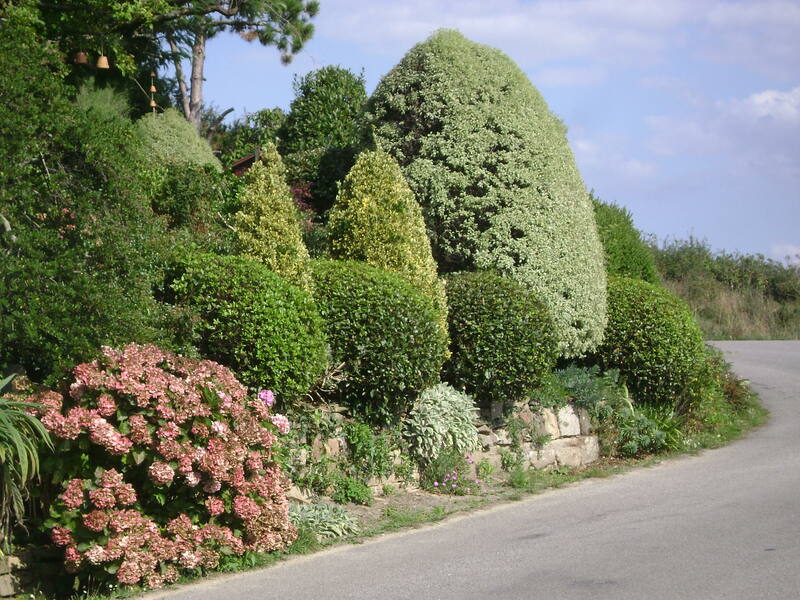 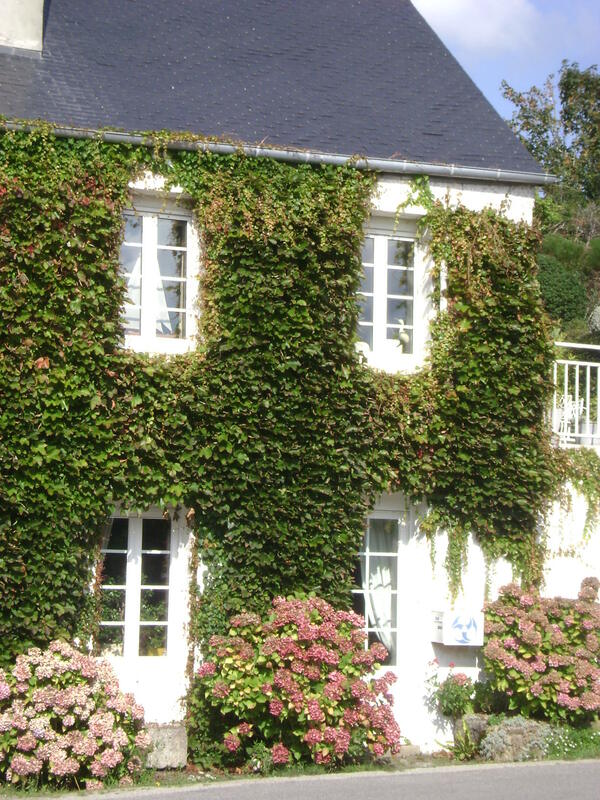 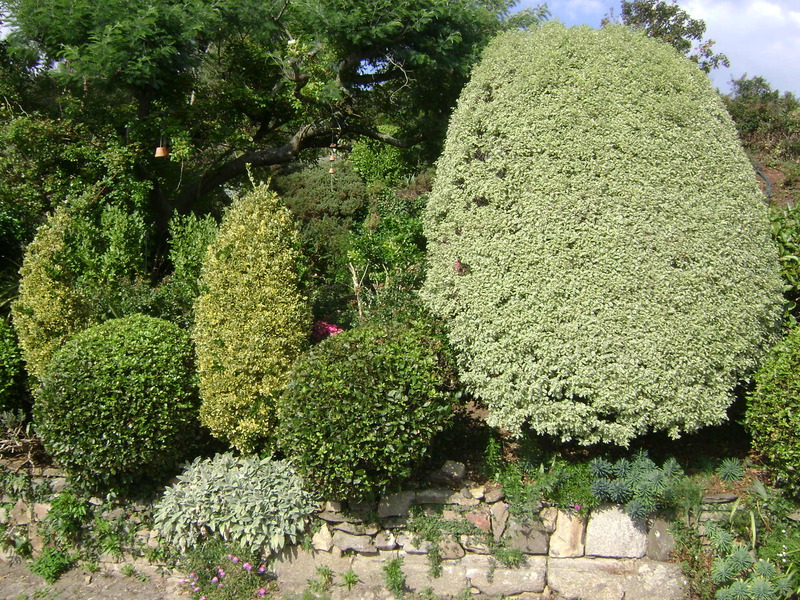 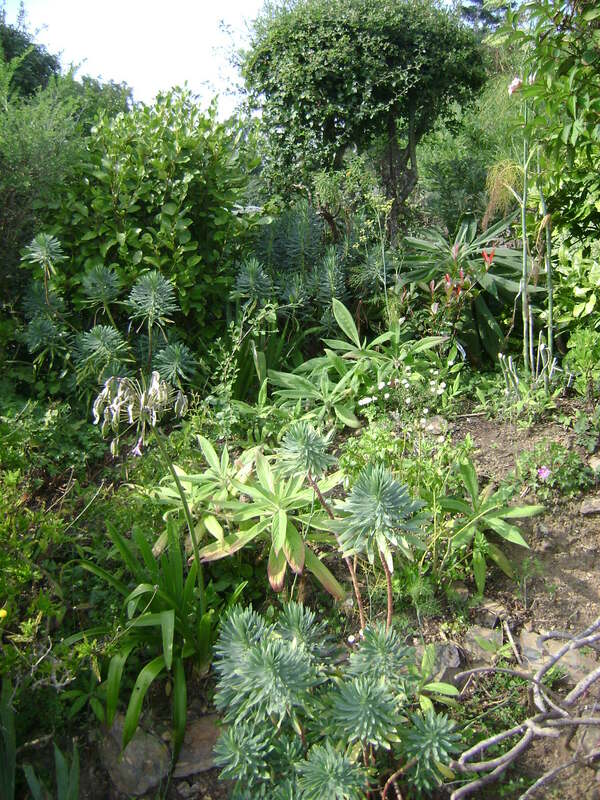 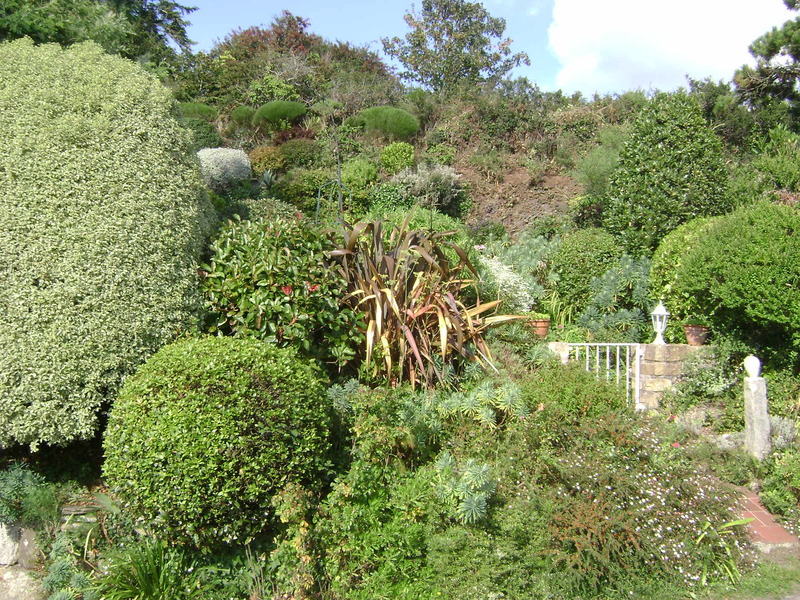 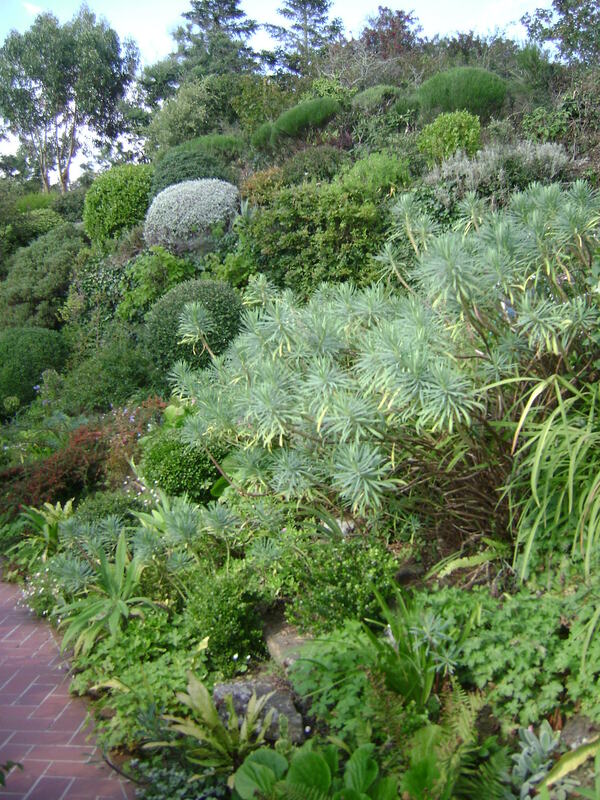 This truly exceptional garden was created in the small village of Roscanvel, in Brittany, overlooking the ocean. 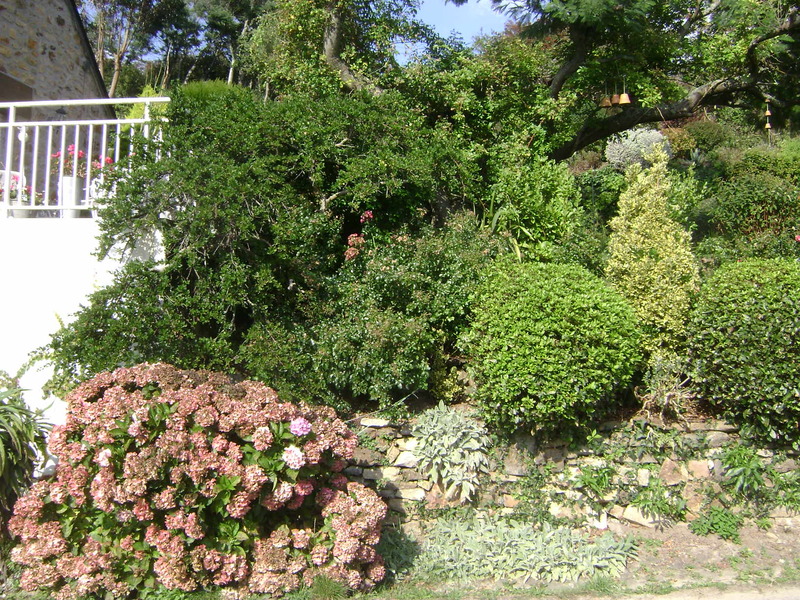 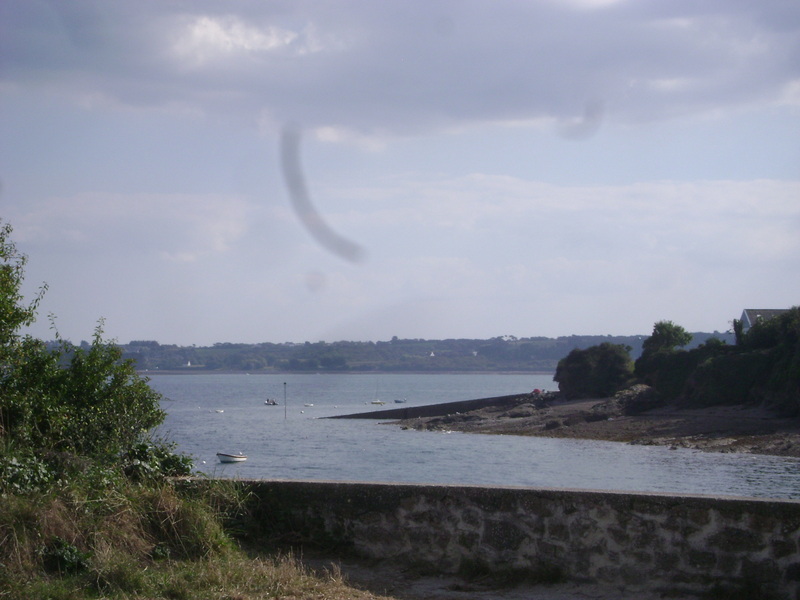 It is terraced to accommodate a hilly lot and also affords some protection from the sea spray and wind, and of course winter storms that are commonplace in the region. 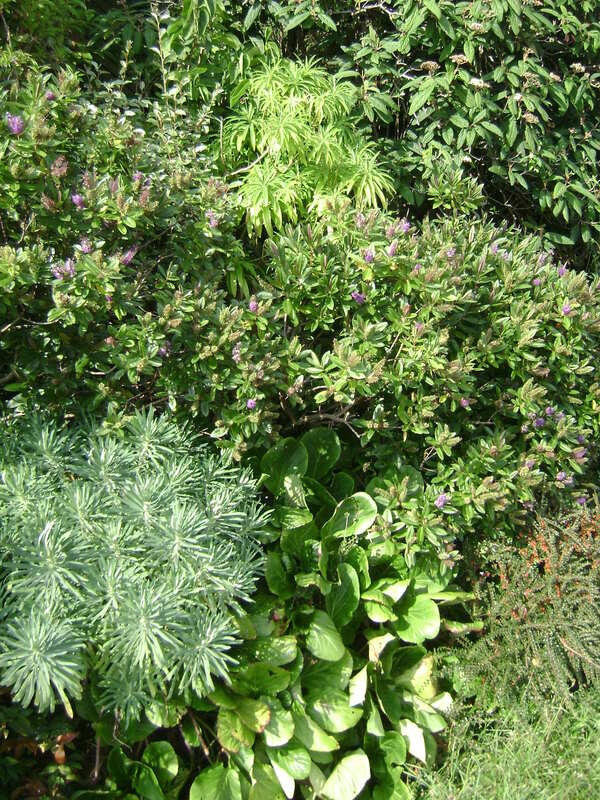 A variety of hardy and low maintenance shrubs and evergreens add visual interest with different shapes and foliage colors. 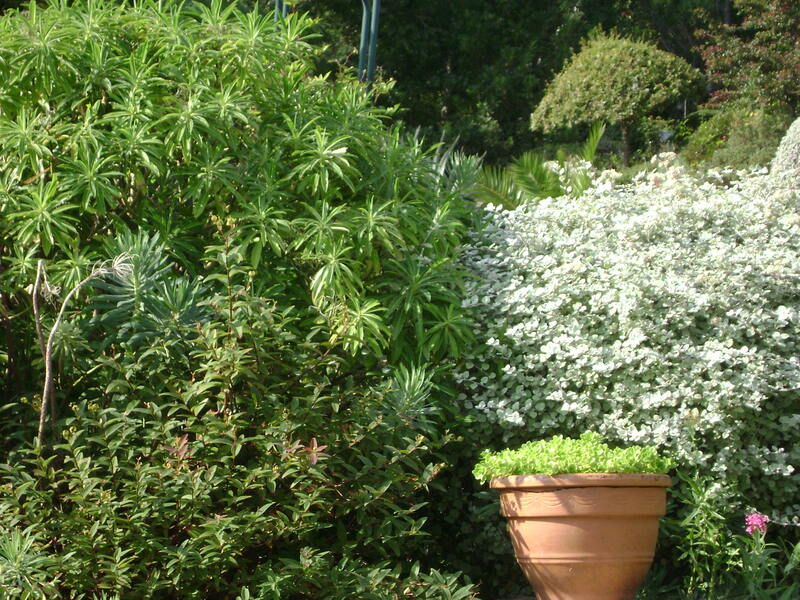 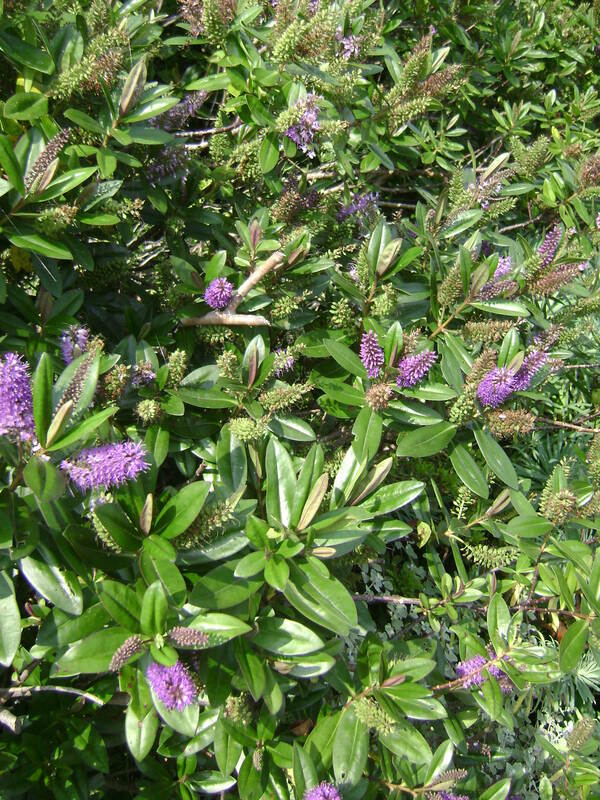 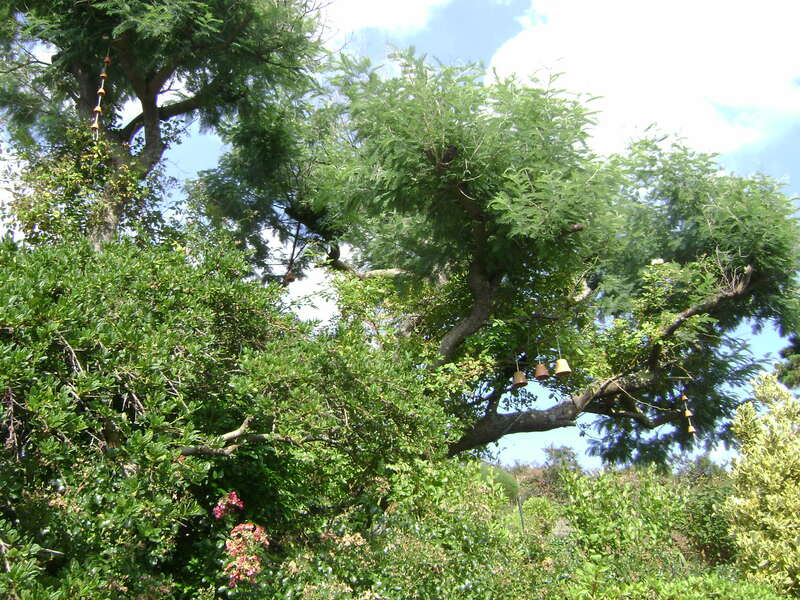 A few flowering shrubs and perennials such as pink oleander or lambs ear add touches of color. 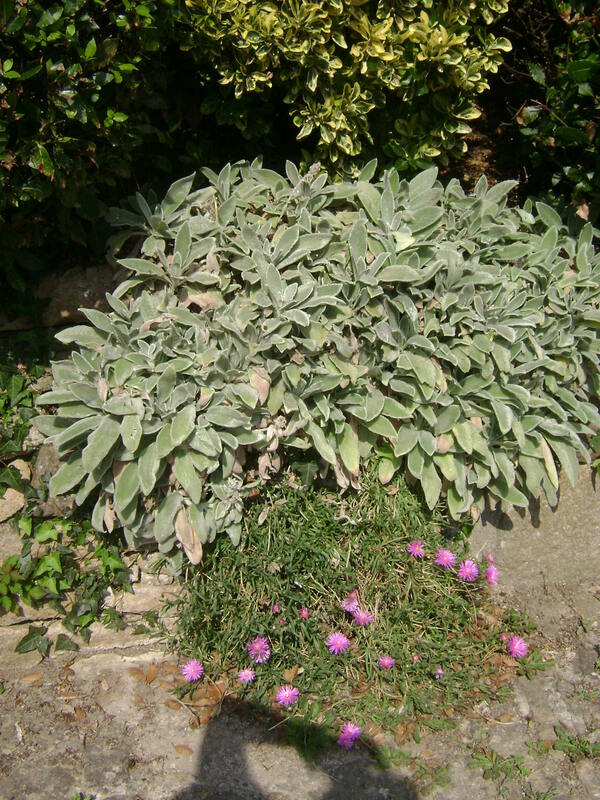 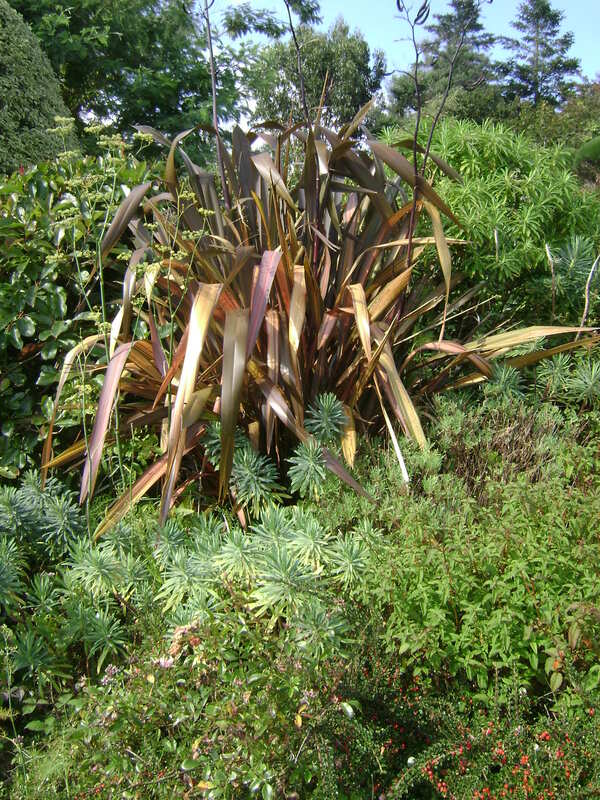 The grey foliage of the lambs ear by the garden remains when they are finished blooming.